One of the greatest advantages of having a long dark winter is to watch all the movies and series without feeling guilty. Sure, there are movies in the cinemas and on TV the entire year, but when the days are long and full of light it just feels like a bit of a waste to spend a whole weekend watching movies. That’s why movie season is in the fall/winter. That’s also probably why I enjoy Gothenburg Film Festival (GFF) so much. Every year, at the end of January and for almost two weeks, the city of Gothenburg fills up with dragons of light, marking the locations where movies will be shown. Going to the GFF is not just like any other regular visit to the cinema, it brings you the opportunity to experience new things, otherwise difficult to access. More than 400 movies, from 110 countries and spoken in 83 languages were shown in this year’s festival. There were movies of all genres and to all tastes, from more mainstream to more alternative, from long to short, for adults and for children (in the lilla GFF). 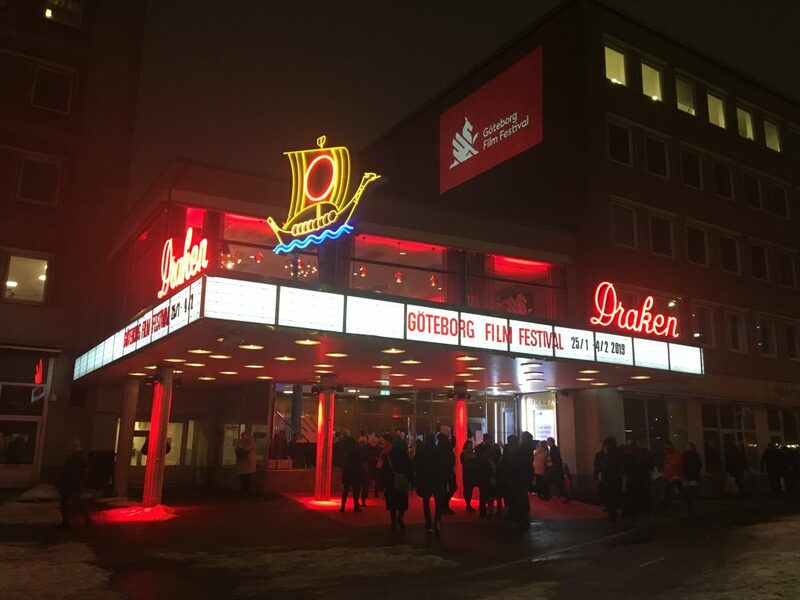 A film festival is one of the few opportunities there are to watch movies in your own mother language, as most foreign movies never reach regular cinemas in Sweden. 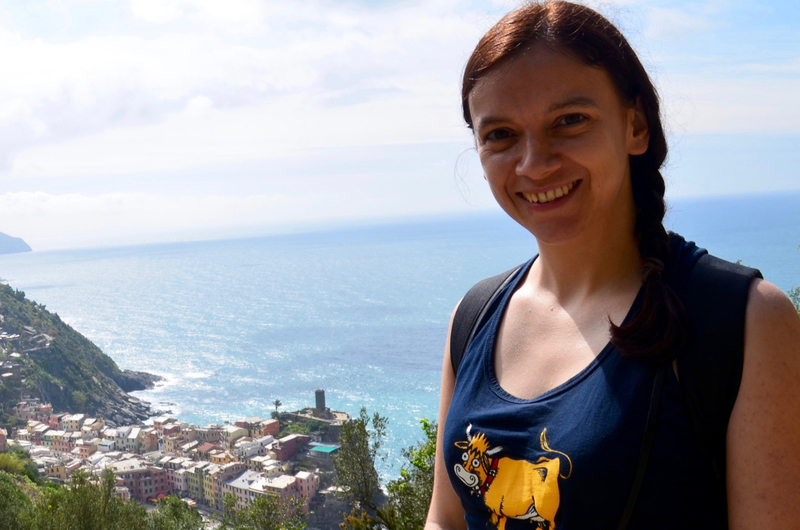 It is also a great chance to learn something new about other cultures. Try it and soon enough you will find your favourites. I, for instance, really enjoy sarcastic French comedies and have a thing for Icelandic cinema. Foreign movies are shown with subtitles (English or Swedish), don’t worry. In Gothenburg, many of the movie sessions take place in theatres, lecture halls and antique cinemas, spread all over the city. For instance, the big premieres usually take place in Draken, a gorgeous movie theatre from the ’50s. Besides the movie sessions, there’s a lot more to enjoy during the festival. Red carpets are common on movie premieres, the first time a movie is shown in either Sweden or the world (Swedish or world premieres). Q&As (question and answer) after the movies are also frequent, with the presence of some of the actors or the production team. During these Q&As the public may ask questions and it’s a great opportunity to see celebrities. 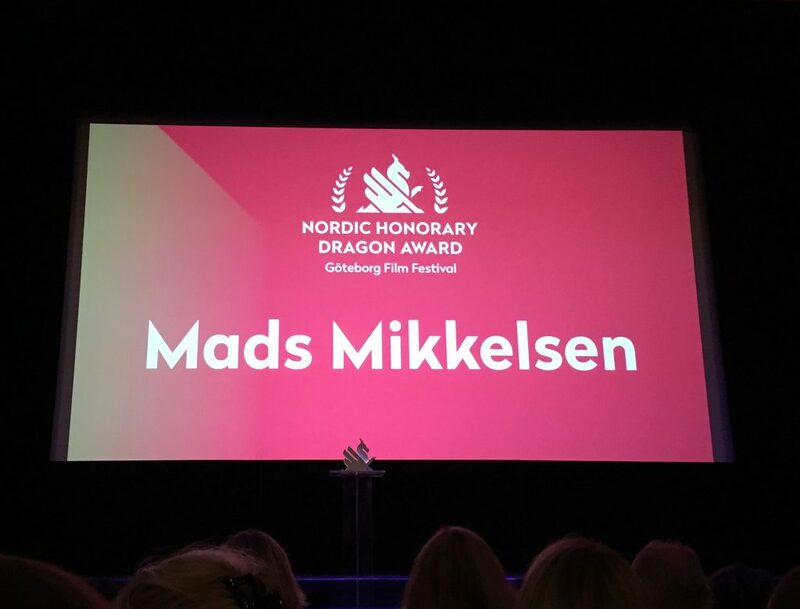 Last year I saw Alicia Vikander at the premiere of Euphoria and this year I saw Pernilla August at the Britt-Marie var här premiere and Mads Mikkelsen getting the honorary Dragon award. The Gothenburg Film Festival is always re-inventing itself, providing the viewers with unique experiences. This year, viewers could, for instance, watch a movie inside a sarcophagus – the so-called “most claustrophobic cinema ever”. Another less scary experience was to watch a movie at the Tjoloholm’s castle, just outside of Gothenburg. The transport was arranged by the festival and included in the ticket. There was also a pop-up cinema at Nordstan, a shopping centre in the city. The GFF is over now, but it will be back again next year. Besides that, the movie season is definitely not over. Some of the movies will now be shown in regular cinemas and there are also other film festivals in Sweden. Enjoy the cold weather and have a great movie season!